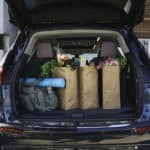 Getting it right in an SUV is easier said than done. 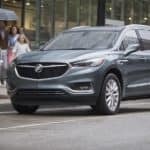 It’s hard to believe it’s been 12 years since the release of the original Buick Enclave at the 2006 North American International Auto Show or as more commonly known, the Detroit Auto Show. 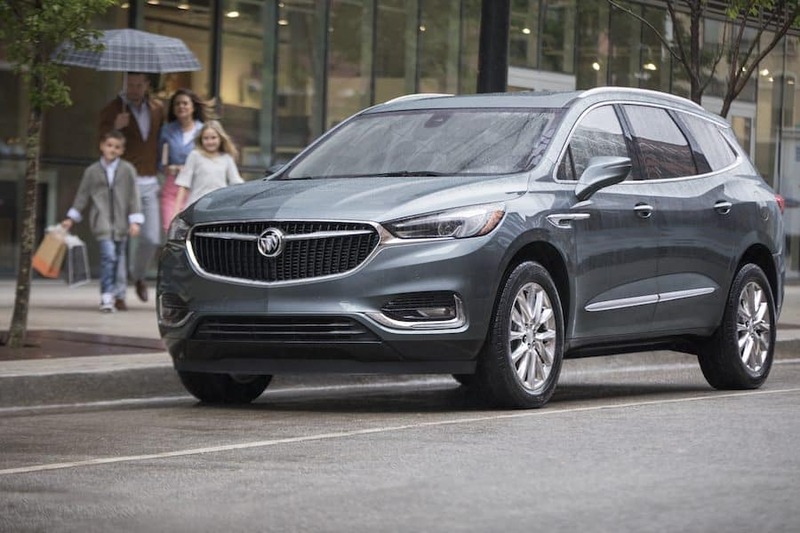 This year’s complete redesign of the super successful Buick SUV is definitely turning heads. Why, you wonder? Luxury cars and SUVs come in a myriad of combinations for discerning tastes of every kind. When it comes time to put them to the actual test of our daily lives is where the contrast truly shows. 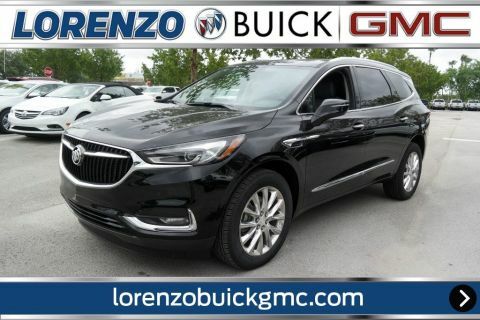 Comfort, safety, cargo space, fuel economy and of course, tech features set the new Buick Enclave apart from the rest. Too many features to name but here are a few you should consider for your family. Before going there, check out this cool Enclave commercial. 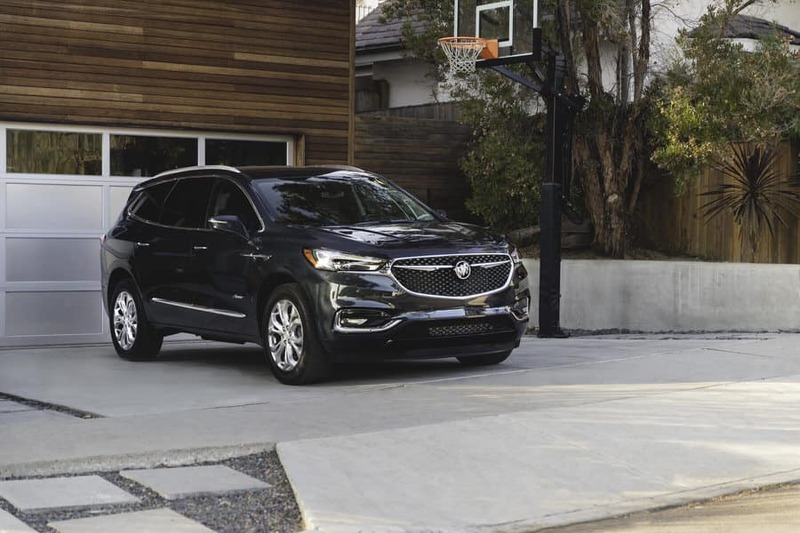 The new design language and architecture give the new Enclave a sleeker and more athletic look with many aerodynamic features that provide better fuel efficiency. The winged headlamps and signature front grille are design cues that make this luxury SUV stand-out in its segment. 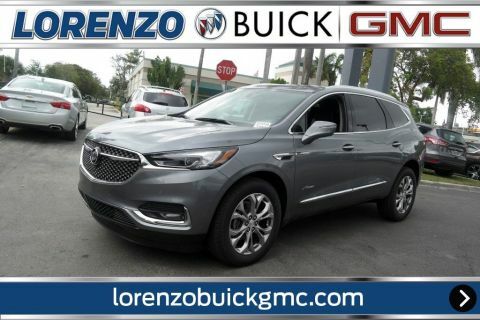 The Buick Enclave comes with a load of advanced intelligent features for safe driving. The available features include Surround Vision and Alerts which have a Rear Camera Mirror, Surround Vision and Rear Cross Traffic Alert. 7 airbags, rear vision camera and rear park assist come standard and that’s just the beginning, with the available Driver Confidence package the vehicle becomes safer and more aware of its surroundings. Low speed forward automatic braking and forward collision alert are some of the active safety features. In the event that the Enclave is traveling at a low speed and the computer identifies that a front-end crash is imminent and the driver has not effectively engaged the brakes, the car will apply the brakes to help lessen the impact’s seriousness. Also, forward collision alert warns the driver in case of front-end impact. Front Pedestrian Braking also helps the driver in applying the brakes in the event that a pedestrian walks in front of the car to avoid or reduce the impact of a collision. The Enclave also has StabiliTrak Electronic Stability Control System and Traction Control System as standard features. Also new in the SUV is the 5-link rear suspension system that delivers impeccable control over the ride. It also provides responsive steering, improved cornering and reduced noise and vibration. A frameless 8 inch screen infotainment system with Apple Car Play and Android Auto provide a safer and more convenient way to use your phone in the car to listen to music, navigate, make calls and even send and receive texts completely hands free. A Bose Premium sound system is available with a redesigned bass enclosure to enhance the in-vehicle sound experience. Every Enclave also comes with its own Wi-Fi hotspot and access to the industry-leading myBuick app. It’s not just the materials and superior craftsmanship, it’s features like the new available air ionizer that eliminates odors, reduces bacteria, viruses, debris and pollen by purifying the air that comes into the cabin. The best part, it requires no maintenance or filter changes, how about that? 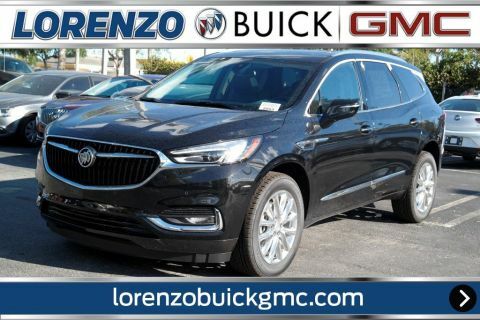 The 2018 Buick Enclave is equipped with stop/start technology to further increase fuel economy. The vehicle has two all-wheel drive options: Active Twin-Clutch available on Premium and Avenir models and Single-Clutch available on the Essence model. The system automatically activates when you need it, helping enhance control of your Enclave in tough conditions. The Enclave was also designed with newer materials that increase the strength-to-weight ratio and makes it more nimble and responsive. The Enclave comes in two variants: a front wheel drive and an all-wheel drive. 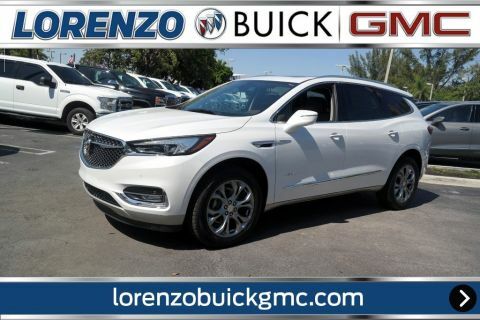 A V6 engine with a 9-Speed Automatic Transmission produces 310 horsepower which provides ample power when you place your foot on the gas and produces 266 pound feet of torque. 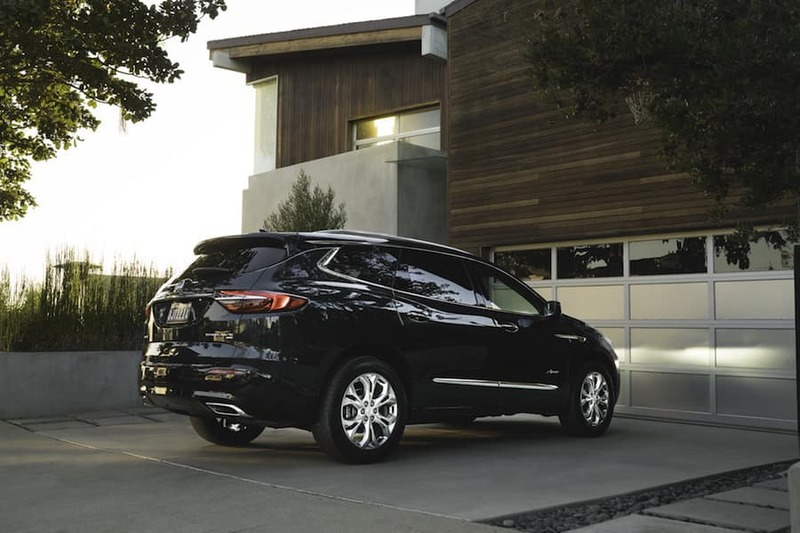 The Enclave shares the same platform of the Chevrolet Traverse but it looks nicer overall, has many more features and a more comfortable interior. 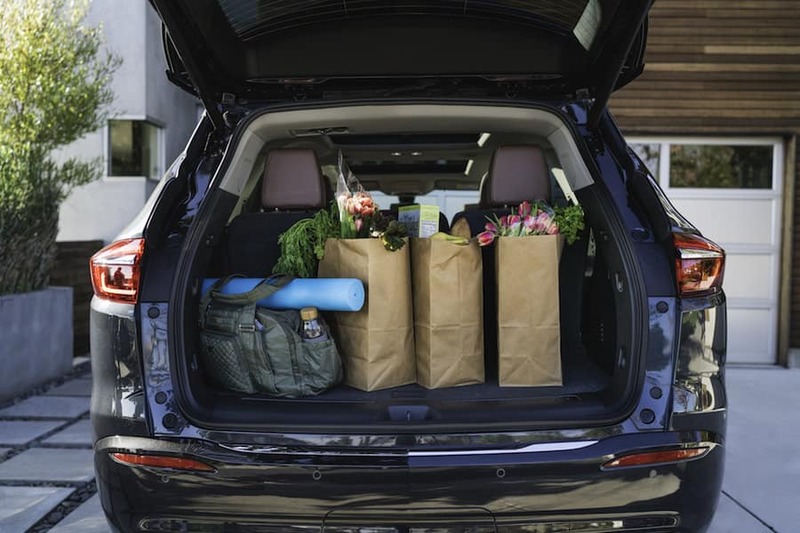 With the accessible trailering bundle, the all-new Enclave can tow up to 5,000 lbs. A straight kick in the rear exterior of the car enables the sensor to open the rear lift gate completely hands-free. 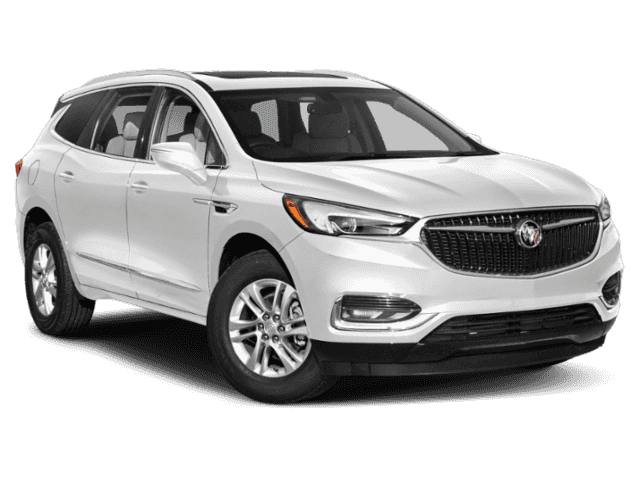 The power moonroof, winged LED headlamps and signature grille with the tricolour Buick badge are luxury symbols that make the Enclave a convincing option. The Enclave comes in 10 different colors that include quicksilver metallic, satin steel metallic, red quartz tintcoat and dark slate metallic. It gives customers a wide variety to select from. With comfortable seating for 7, the level of detail and craftsmanship is impeccable. 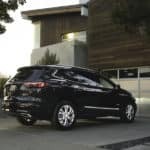 The leather interior with spacious seating for 7 people in three rows and abundant cargo space makes this mid-size SUV a viable option for family trips. 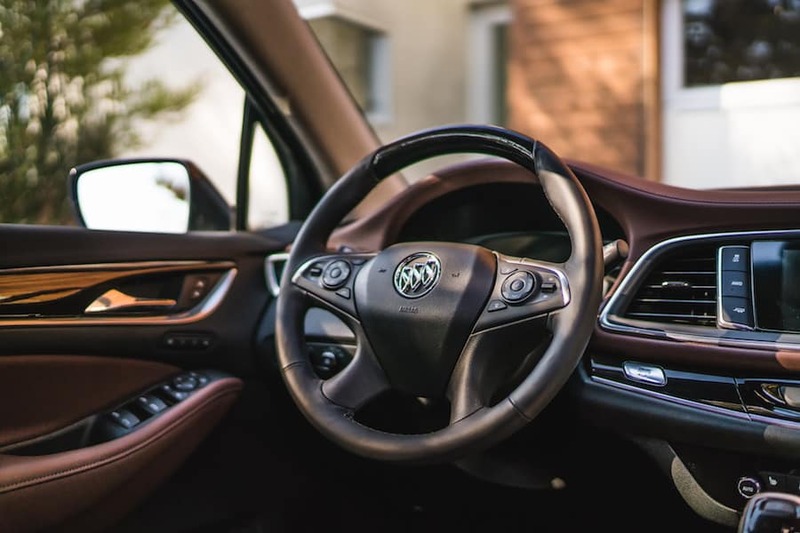 Quiet tuning is an active noise cancellation feature used by Buick to filter out noise from the outside by means of a triple door sealing, acoustic laminated windshield and front side glass to further reduce, block and absorb noise in the cabin. The Buick Infotainment System comes with Navigation and provides access to real-time traffic data and directions. Also, a built-in WIFI hotspot provides internet connectivity to everyone aboard the Enclave. 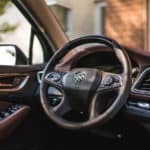 Interestingly, the 2018 Buick Enclave comes with both Apple Carplay and Android Auto. This enables the touchscreen on the SUV to access maps, music, phone calls, messages and a lot of other features on your smartphone. The new Enclave has so many available features, superior engineering and a new elegant dynamic design, you should check it out for yourself. Not convinced? 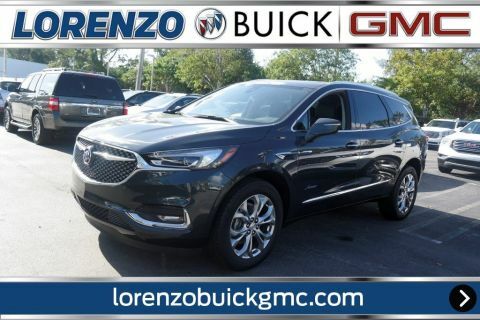 Come in to Lorenzo Buick GMC today and test drive one or schedule an appointment for more info.